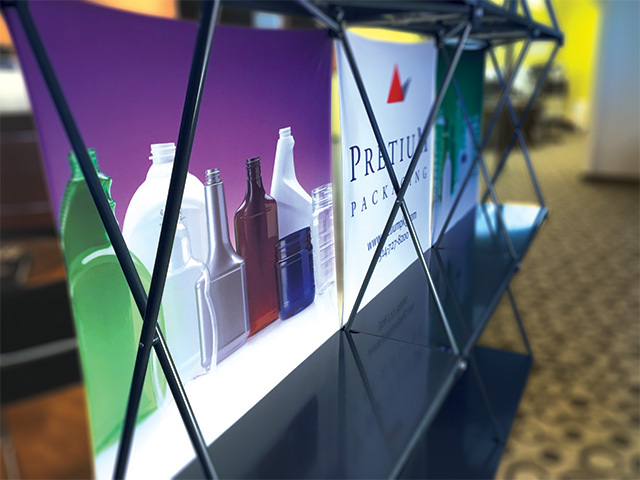 Rose Design was charged with the creation of Pretium’s showcase booth. The client specified that it have shelves for product, be customizable, and easily portable. We found a manufacturer that could accommodate those specification while keeping within budget. Utilizing photography and graphics we created for their website, we designed the panels which are printed on a stretchable fabric which is lightweight and aids in the portability. 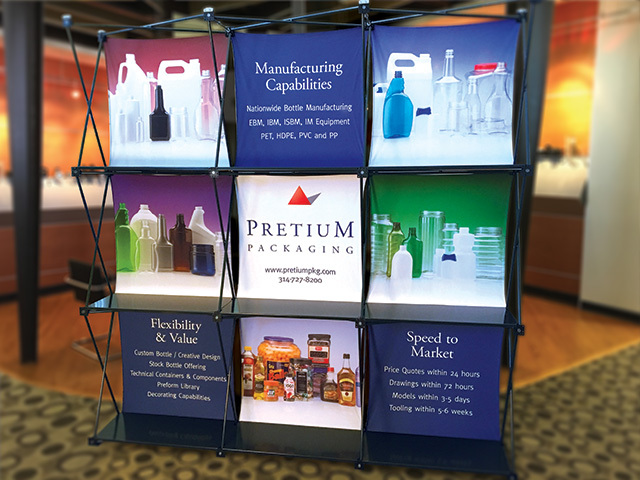 The panels and shelves can be switched-out and reconfigured to meet the needs of any trade show. 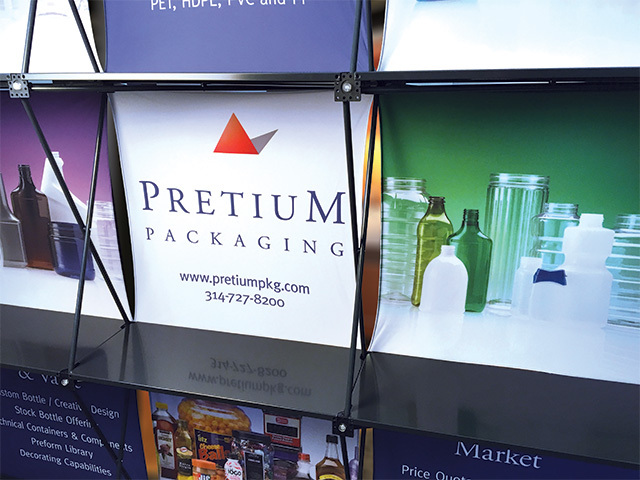 Pretium Packaging develops and manufactures custom plastic packaging and is based in Chesterfield, MO.